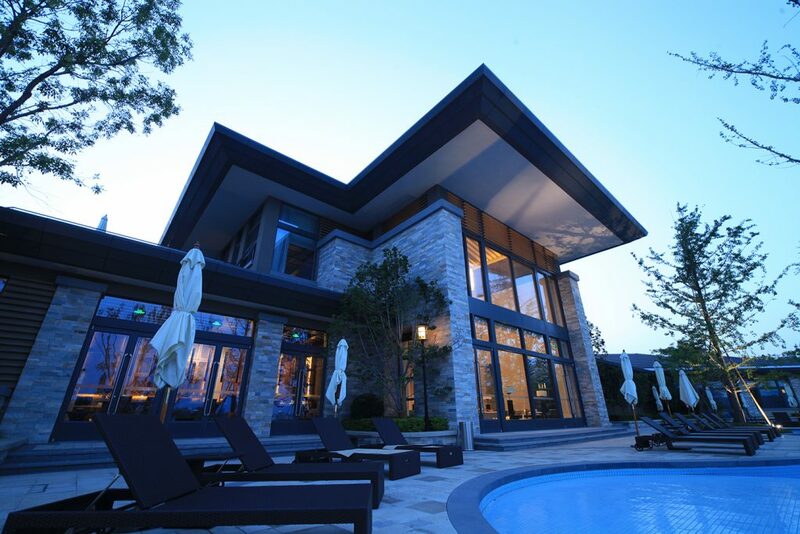 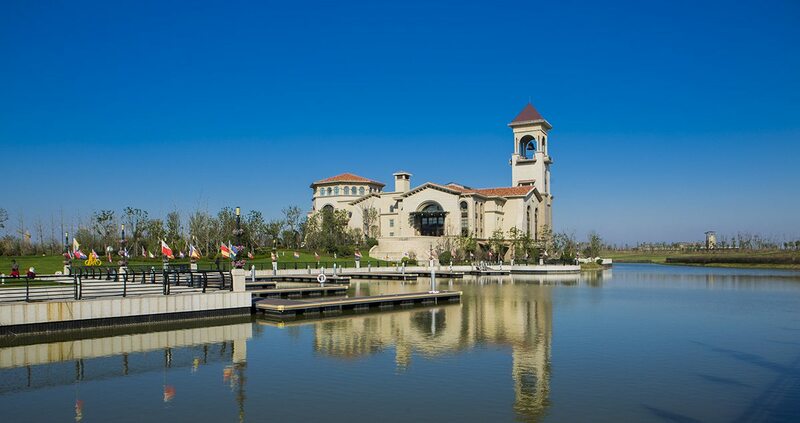 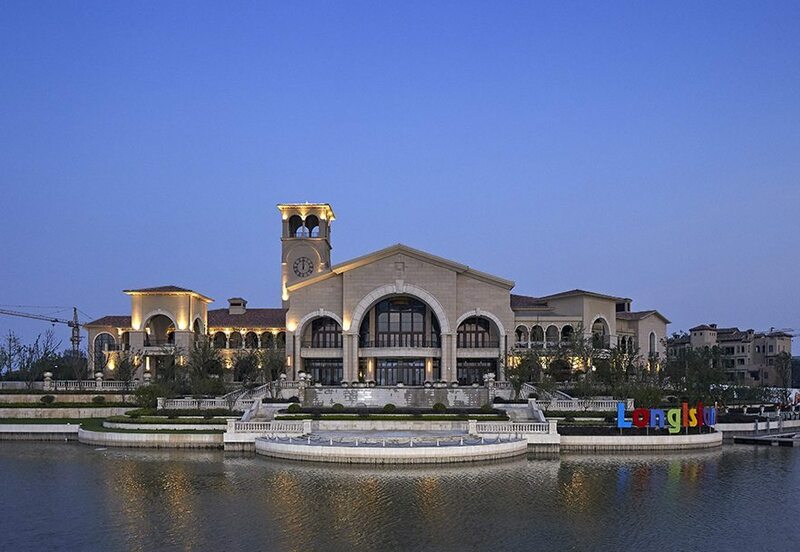 EKISTICS was commissioned to create a resort destination residential development on Chongming Island. 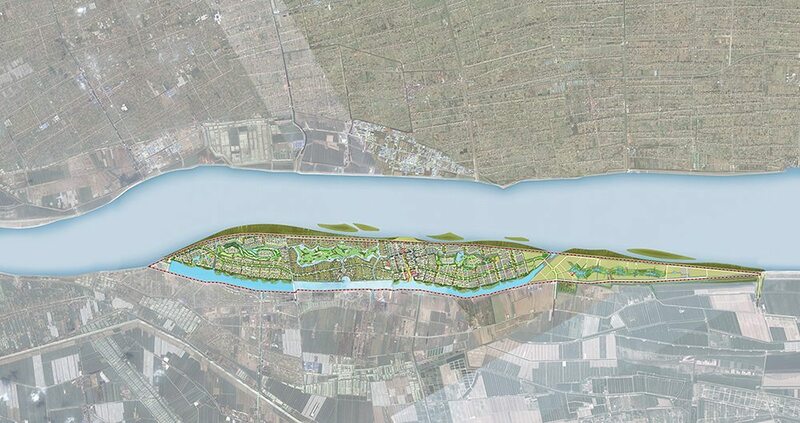 The site is a 17km long island of reclaimed land off the north shore of Chongming island. 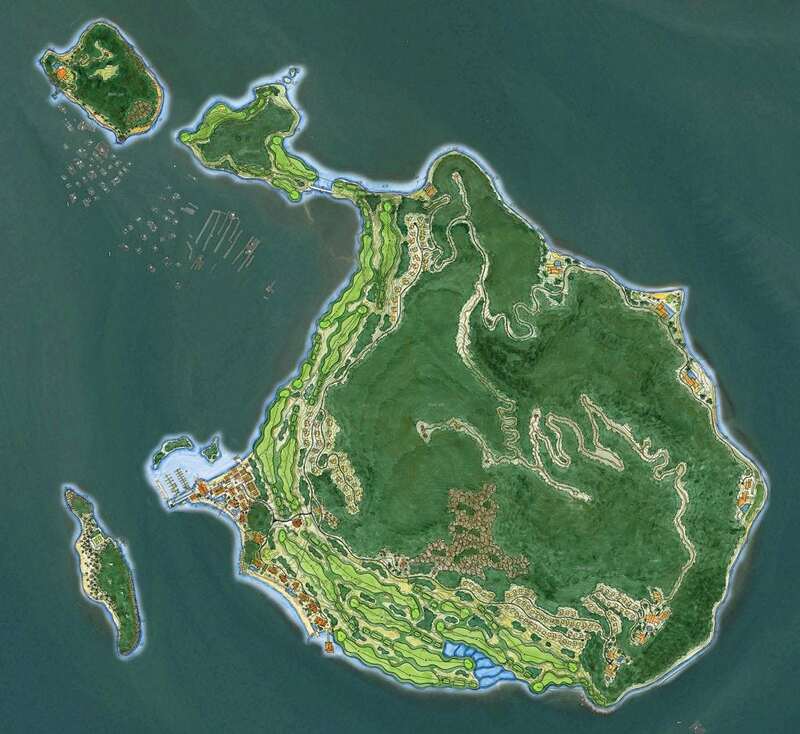 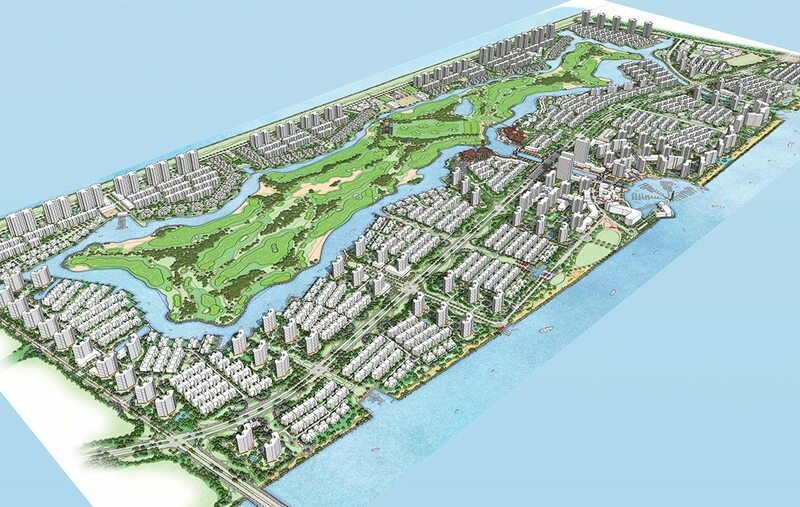 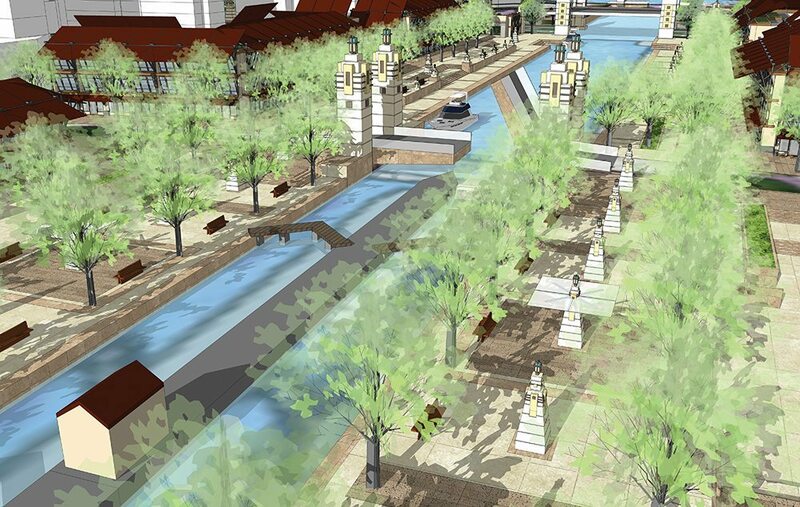 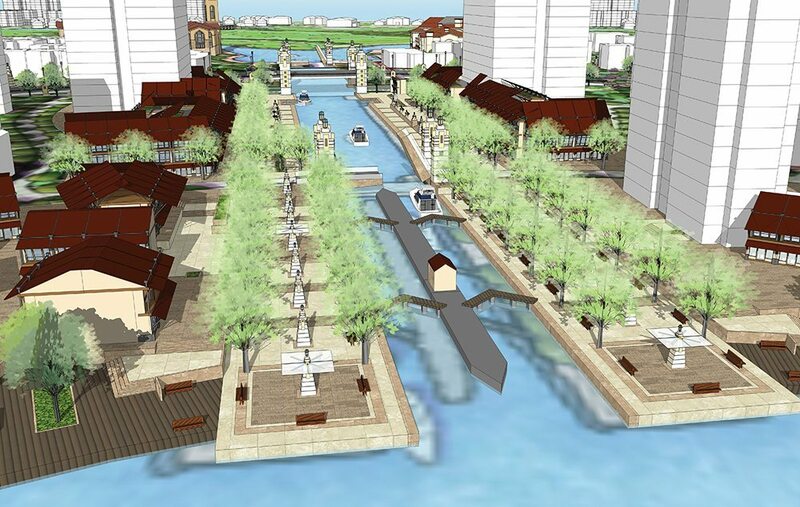 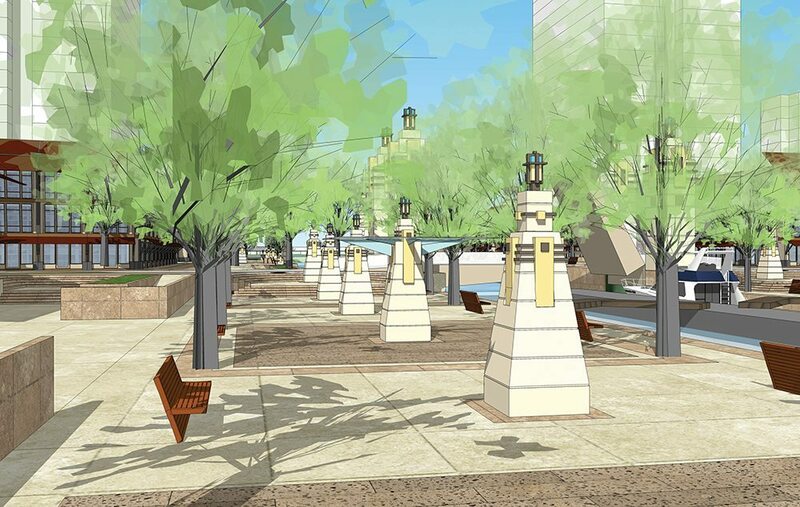 It presents a unique opportunity to create an integrated resort, residential and mixed-use development within the existing riparian environment. 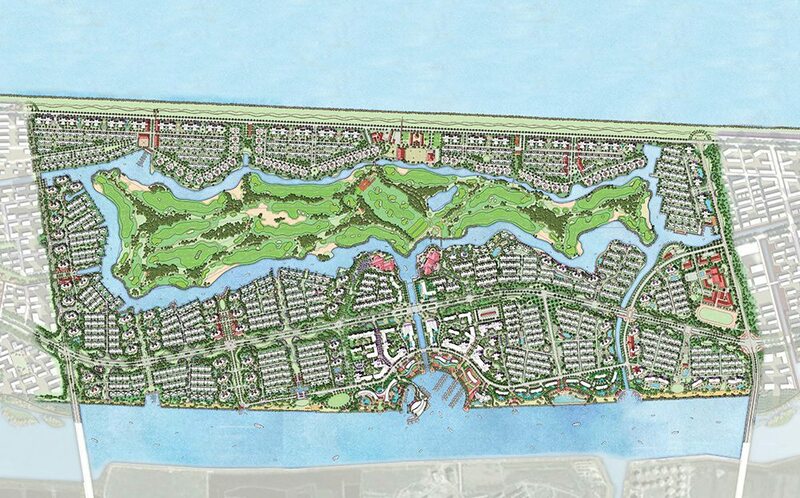 The master plan is comprised of a central championship 18 hole Jack Nicklaus golf course and has a network of canals interwoven throughout to provide pleasure boat access to the various neighbourhoods. 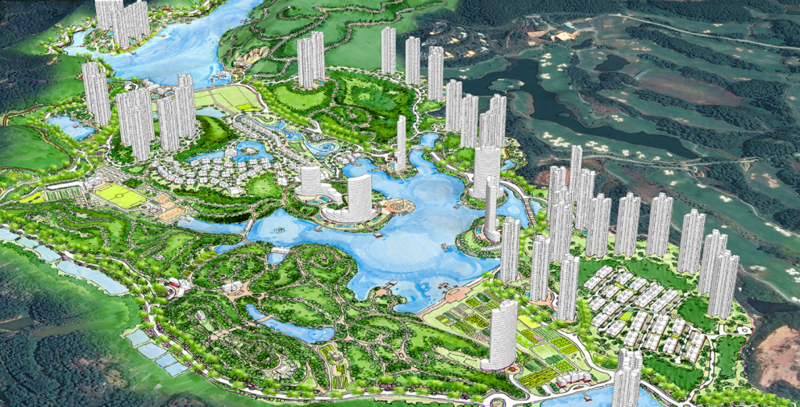 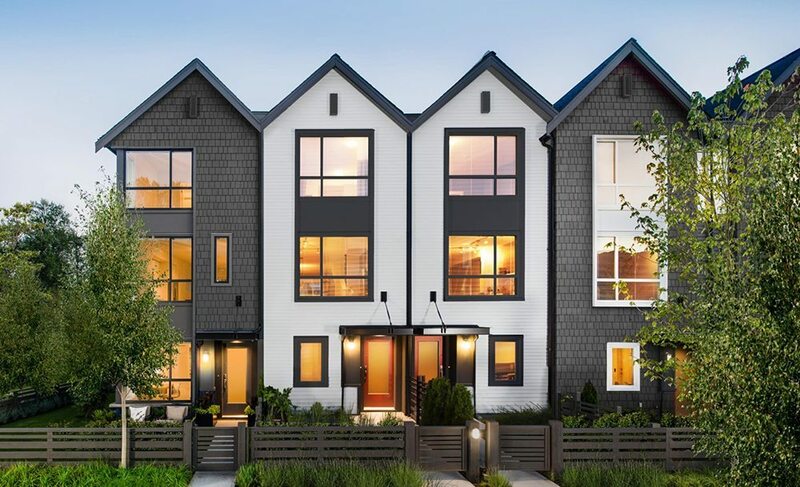 Three distinct themes characterize different residential zones within the plan. 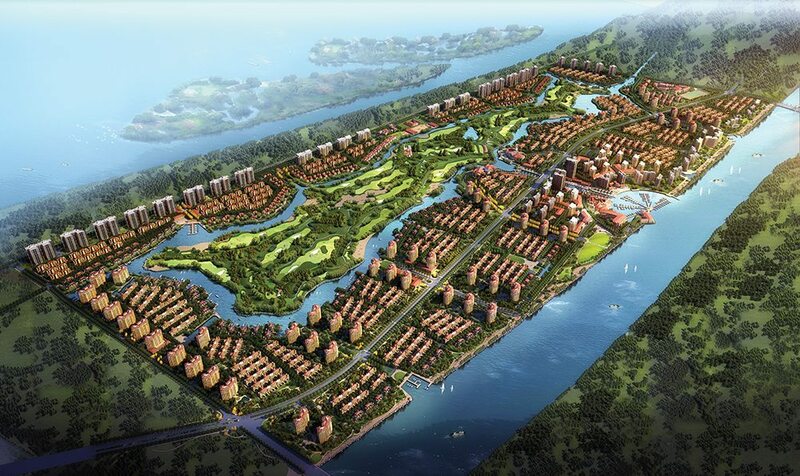 The Health and Recreation Lifestyle is organized around the golf course and golf academy. 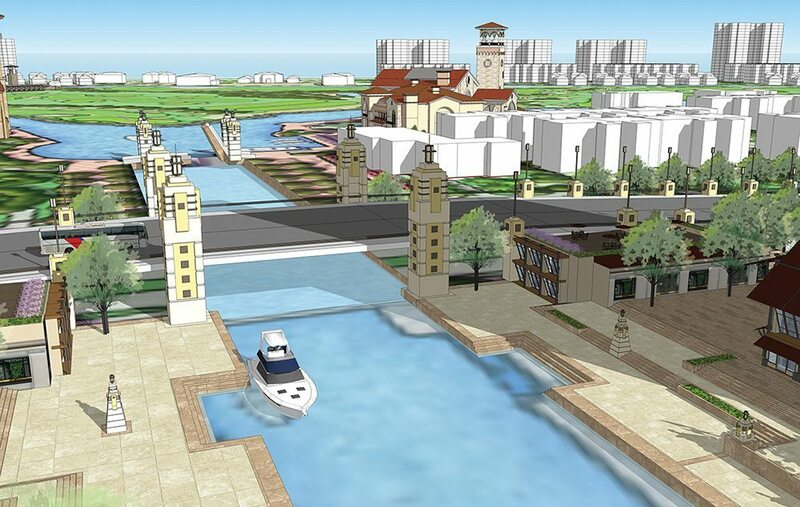 The Marina Lifestyle has, at its center, a large marina that forms the heart of a large mixed use district. 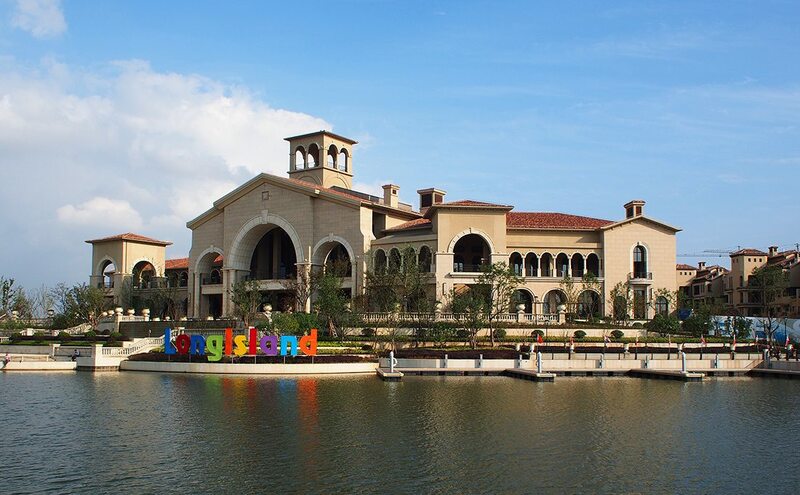 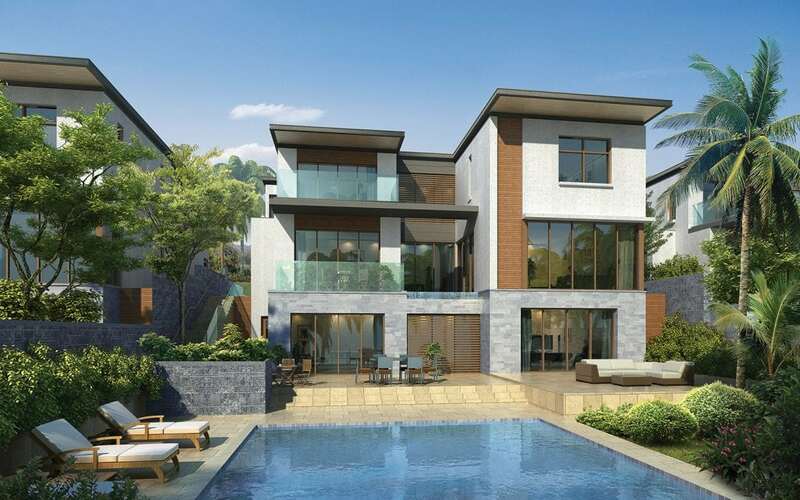 The Resort Lifestyle is comprised of a series of neighbourhoods that front onto the southern canal and features an extensive linear beach and pool network.